Background: Serious neonatal coxsackievirus infections transplacentally acquired in late pregnancy involve primarily the central nervous system, heart, liver and rarely the skin. 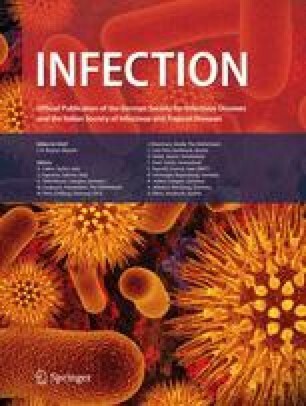 Patients and Methods: A boy born with a disseminated papulovesicular, nodular, bullous and necrotic ulcerated rash at 39 weeks gestational age developed pneumonia, carditis and hepatitis during the first days after birth. Molecular biological and serological methods were used for virological diagnosis. Results: Coxsackievirus B3 (CVB3) was found in throat swabs and/or feces of the neonate and his mother. In addition, there was serological evidence of intrauterine infection. Conclusion: Intrauterine transmission of CVB3 during late pregnancy may lead to varicella-like congenital skin lesions.